RMH iPOS is an integrated mobile POS solution for retailers. RMH iPOS means the flexibility of operating in a mixed environment with multiple options for any retailer -- stationary or on-the-go. Retail Management Hero, Inc., a retail-centric software development company, announces they have added to the growing number of product integrations for the RMH retail management solution with the launch of RMH iPOS, enabling retailers to take their point-of-sale (POS) mobile on Apple’s iPhone, iPad and iPod Touch, and also process secure transactions with Shift4 Payments. Developed by Advantage Solutions, RMH iPOS is fully integrated with the RMH software, allowing sales, quotations, work orders and customers to be captured on an iOS device and synchronized with RMH. 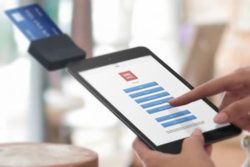 Using RMH iPOS, retailers can also scan or enter their physical inventory count, look up or create customer accounts, and scan barcodes using Socket Mobile’s Bluetooth connected scanners. RMH iPOS currently enables retailers to process credit cards through Shift4 Payments and PayPal Here. RMH iPOS can operate online for real-time synchronization, or offline for synchronization when a Wi-Fi or cellular data connection is unavailable. RMH iPOS is available globally on the RMH Marketplace. For more information or a demo, contact sales(at)rmhpos(dot)com.